In our third straight year of a record breaking drought, bud break began early due to the lack of groundwater available for the vines. Cold winds during flowering, in combination with drought, reduced the amount of crop / fruit set. However, the rest of the growing season was warm and even, allowing us to carefully harvest at ideal time frames. As yields were slightly down, quality remained incredible, potentially surpassing the last 2 vintages in skin to juice ratio. The August 4th start of harvest in the Santa Cruz Mountains was the earliest in the 70 years of recorded history at Mount Eden. 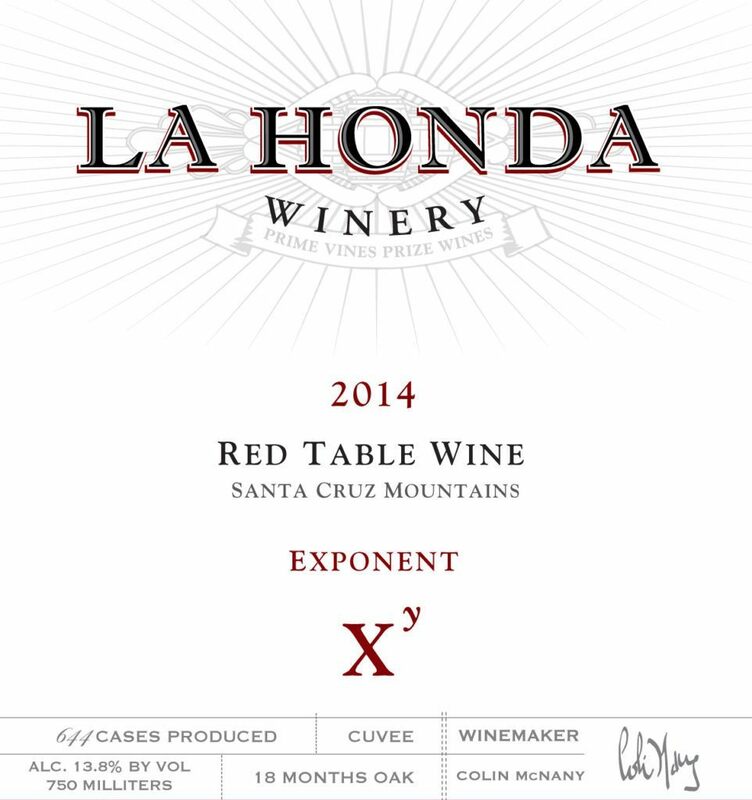 Exponent is a cuvee from a variety of local vineyards, each harvested at optimum ripeness, brought in over the course of harvest, and fermented in small isolated bins. Each lot is destemmed, 100% whole berry, hand sorted, and cold soaked for 3-5 days. Punchdowns occur 3 times daily, where fruit will be pressed off skins anywhere from 10-20 days. All vineyards are then isolated to individual barrels, undergo 100% native malolactic fermentation, and aged for 18 months in a combination of American and French oak, with roughly ⅓ new American oak. Individual vineyard barrels are hand selected, racked once to tank, and gravity fed unfiltered to bottle. Bright raspberries, red roses, and crushed granite perfume giving way to a racy fruit forward wine. Light in tannin and full of red fruits, a great match for any red pasta sauce or grilled meats. Delicious now, but has the ability to age up to 3-5 years.